When you own a guinea pig, one of the first few things to look into is what they should eat. There are certain things they can and can’t eat, and vegetables are always the first on the list of CAN eats, as they’re herbivores! However, not ALL vegetables are right for them, so it makes you wonder: can guinea pigs eat cheery and other similar vegetables? This is actually an interesting question a lot of people ask, as guinea pigs do deserve a crunchy treat now and then! So read on as I show you the answer and some other tips on feeding your guinea pig. How Much Celery Can I Feed Them? Celery seems like such a beneficial vegetable, and it is! It has a ton of benefits to offer, especially to humans. But with that being said, can guinea pigs eat celery? Well, that’s a pretty complicated question, but the short answer is NO. While it’s safe for them to consume once in a while, like all vegetables, I recommend that you avoid feeding a lot of it. There are various reasons why (I’ll explain in the next section), but not to worry! Feeding them a bit of celery every now and then is still a great thing and can add variety to their diet. So if you fed it to them before, there’s nothing to be scared about. But, if ever you feed celery and notice that your guinea pig’s stool is loose or watery, or they seem to have stomach problems, then stop feeding them celery and take them to their vet! Similar to us consuming vegetables, celery has its perks for guinea pigs. It contains vitamin C, which guinea pigs need to stay healthy. Plus, they will enjoy the crunch and extra taste compared to always eating the same hay and pellets every day. Unfortunately, this is pretty much the only benefits it has to offer! Celery can cause bloating and gas in humans when you eat a lot of it. So imagine feeding even just a bit of it to your guinea pig! It may cause some stomach problems, in the long run, particularly bladder or kidney stones. Just like us, consuming celery can cause the strings from celery stalks to get stuck in our teeth, throats, and wreak havoc around their intestinal tract. So while giving them fruits and vegetables is a good thing, you have to be mindful with what exactly you’re giving them and to reduce the amount of it. Especially with vegetables like celery! The amount of celery your guinea pig can eat depends on the part you’re feeding them. 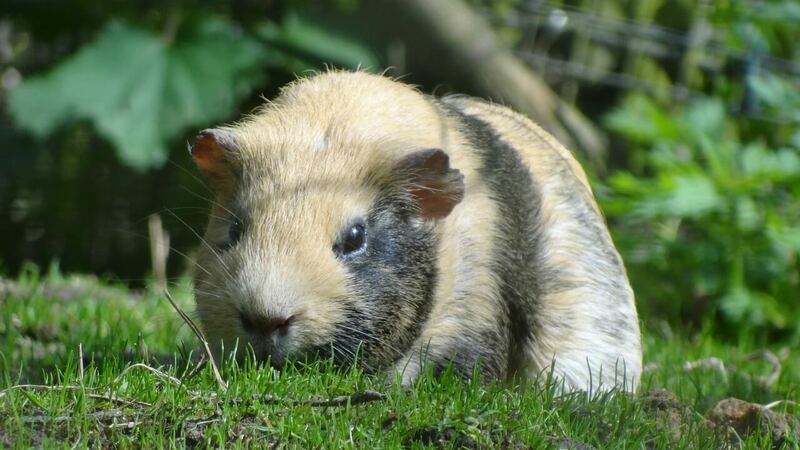 We often hear leafy greens being healthy for guinea pigs. Fortunately, guinea pigs CAN eat celery leaves in moderation, but only as an occasional snack. Avoid too many celery leaves as this can lead to urinary tract stones. Similar to celery leaves, it’s still healthy to feed your guinea pigs the stalks, but again, not too much. If your guinea pig has a history of urinary tract stones, however, I recommend against it. Don’t feed your hamsters whole celery stalks even if they enjoy it a lot. Small pieces will do, and uneaten portions should be removed immediately. But one thing’s for sure: NEVER feed your guinea pig cooked vegetables! It’s only best to feed them raw and all-natural foods, as cooked ones come with risks, especially when containing other toxic ingredients like meat or oil. So there isn’t really an exact recommendation, just keep it as little as possible and only in moderation of every few days. You can check with their veterinarian in case they have special dietary needs. While I do suggest that you feed them fresh and leafy greens, it’s best to ensure that their primary source of food comes from their pellets and quality hay. Do NOT replace their pellets and hay with fruits and vegetables, as this doesn’t give them enough nutrients THEY specifically need. Always provide them with fresh drinking water, replacing it at least twice a day to avoid serious illnesses. When you do feed your guinea pigs vegetables, make sure that they are safe to consume and washed before feeding. Fresh is always best, especially when filled with vitamin C.
Never give them citrus fruits, nor should you overload on sugary fruits. Fruits like bananas should only be given as an occasional treat. What your pet eats can make or break their overall health, that’s why it’s crucial to know all about what they should and shouldn’t consume. And when it comes to celery, you don’t need to worry as they are considered safe to eat. Just continue their regular diet of hay and pellets, you’ll have nothing to worry about! I hope this article answers your question, “can guinea pigs eat celery?” Now that you’re familiar with what they can eat start feeding them properly!